SelectDFW understands that it is often difficult to find the appropriate mode of transport when you need to travel around Dallas. There may be times when you can compromise and manage somehow; however, what do you do when you are travelling to the airport? Do you compromise by waiting long hours and eventually missing your flight? Why get into such hassles when a proficient hired transportation service is always ready to serve you? With FBO Transfer, worrying about travel will only be a distant memory because we bring the best to you. Why FBO Transfer? We're Punctual - Yes, we are! You will always reach your destination well in time. We're Hospitable - Our drivers will do our best to make you feel at home and also attend to your needs. We're Courteous - We believe that it is our privilege to serve you and you are very important to us. We're Always Accessible - Anytime of the day or night, you can make a reservation with us and you can expect us to be there on time. We're Reasonable - Yes, you can afford our services without thinking twice. Dallas Private Airport Transportation gives you a wonderful experience while travelling to the airport. 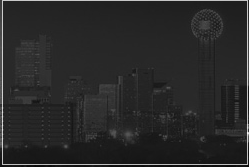 Therefore, we take pride in the services Dallas Airport Transfers offers you.